As a first-time mum, I would prefer not to count the hours of sleep I lost during my baby’s first year (the figure would be terrifying! ), lying in bed at night worrying over things that turned out to be completely inconsequential. But that’s what mums do, right? We worry. Here, I reveal some of the sillier things that kept me staring at the ceiling at night, and what I wished I’d just let go of. It feels a little cool in the bedroom. But the Gro-egg thermometer says it’s 23 degrees. What tog should his sleeping bag be? If I dress him in a onesie plus the sleeping bag will he be too hot? How about I pop him in a t-shirt, nappy and bare legs, plus the sleeping bag? No, I definitely need to put pyjama pants on. Oh wait, does his tummy feel too warm now?! I just made you privy to the nightly inner dialogue that ran through my mind in the early days of parenting. Like any mum, first-time or otherwise, ensuring my baby was comfortable overnight was vitally important to me, especially because one of the main culprits of frequent overnight wakings is due to a bub either being too hot or too cold. The thing is, keeping your baby at the right temperature overnight is as simple as following these steps: keep the room between 18-21 degrees, dress bub as you would dress yourself, use a 100 percent cotton (and thus breathable) sleeping bag, and as long as your baby’s core is warm (even if their hands, arms and feet are a little cool), they’re fine. Organic, superfoods … packet baby food? I’m the first to admit that I will never be a MasterChef contender. I’ve come a long way since the days of overcooking steak, and I can whip up a pretty mean Thai green curry in a pinch, but the kitchen is not my “happy place”. When it came time to introduce my son to solids though, I became a veritable culinary whiz. I lost hours poring over recipe sites and planning menus that incorporated every vitamin and mineral that would ensure my baby received the best diet possible. I rejected the idea of feeding him packet baby food on principle, but I quickly ran myself ragged trying to keep a baby entertained while chopping, steaming and pureeing all of those veggies and fruits. One night, after an hour of careful preparation in the kitchen, my son decided to up-end the whole bowl of braised beef with sweet potato puree before taking a bite, and my freezer stash had been exhausted. 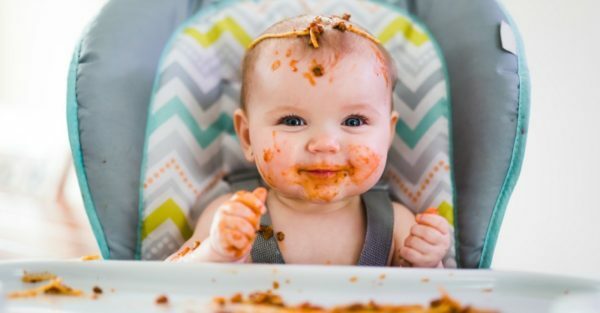 His Dad quickly unearthed a free sample of “spag bol for baby” from the back of the pantry and … the world didn’t cave in. While I still make the majority of my son’s meals from scratch, I’m also okay with turning to the odd pureed pouch when we’re on the go or pressed for time. And I’ve come to realise that not every single meal needs to be a five-course degustation. Oh, the patience-trying catnapper. In the early days, I tried everything to extend my son’s daytime naps – stretching out awake times, tinkering with the routine, even rocking him to sleep in the pram for every nap – but he’d awake from each 30-minute sleep cycle bright-eyed and ready to get on with his day. This meant I was putting him down for up to four naps per day, and also meant that as soon as his head hit the pillow, I had to race around the house trying to (silently) get everything done that I needed to in that short window of time. 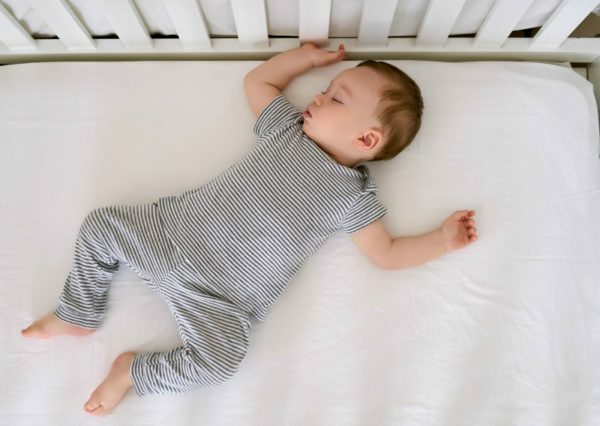 Most of the babies in my mothers’ group seemed to enjoy long stretches of sleep during the day, napping anywhere from one to two hours, but my son had other ideas, and I began to wonder what was wrong with his sleep patterns. I’ve since discovered that catnapping is quite common in babies, particularly within the first six months, and is something they will eventually grow out of. In fact, I’m happy to report that at 12 months, my son gets a solid two-hour nap in after lunch … and I can get a whole lot more done in a day. We’re repeatedly told not to compare our bubs to others, but it’s hard not to when you spy one of the babies at your mums’ group pulling up at nine months, while your son hasn’t yet mastered crawling. Here’s the thing, milestone anxiety will get you nowhere. It won’t help your bub develop any quicker, and can even impact the relationship you forge with your little one. Unless your baby is seriously lagging behind – isn’t babbling by nine months, isn’t sitting up well by ten months or doesn’t stand supported by 12 months; in which case you should make an appointment with your GP – what constitutes the “normal” range of development is rather varied. Rest easy knowing that all babies hit their milestones at different times, and when they do so is in no way indicative of overall intelligence or future success.